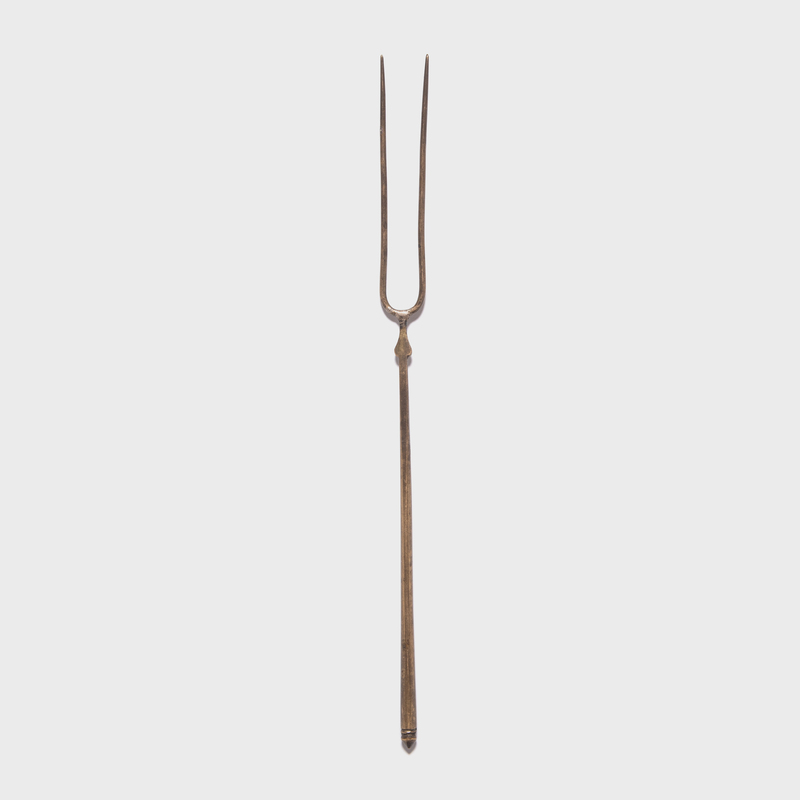 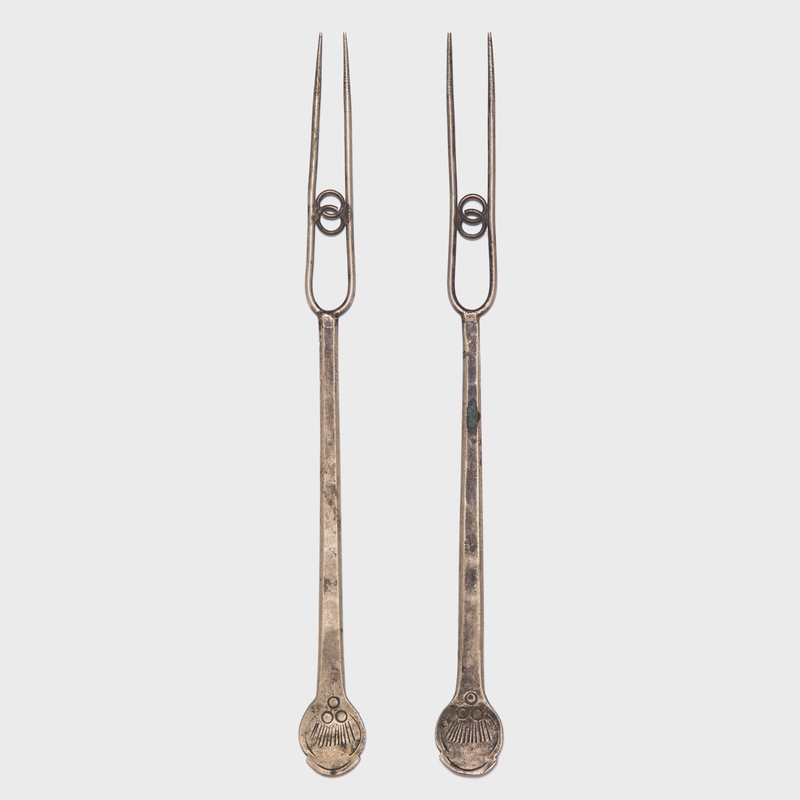 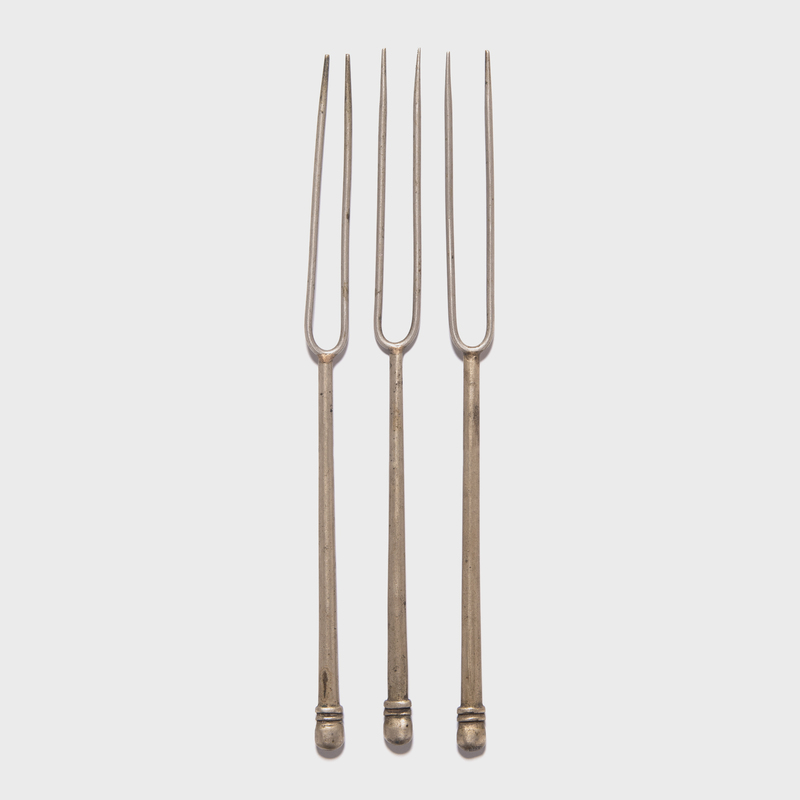 W: 0.75" D: 0.25" H: 7.5"
Though chopsticks are the way of life in China, this pair of brass two-pronged forks with interlocking eternity rings were used during the early 20th century in Shanghai. 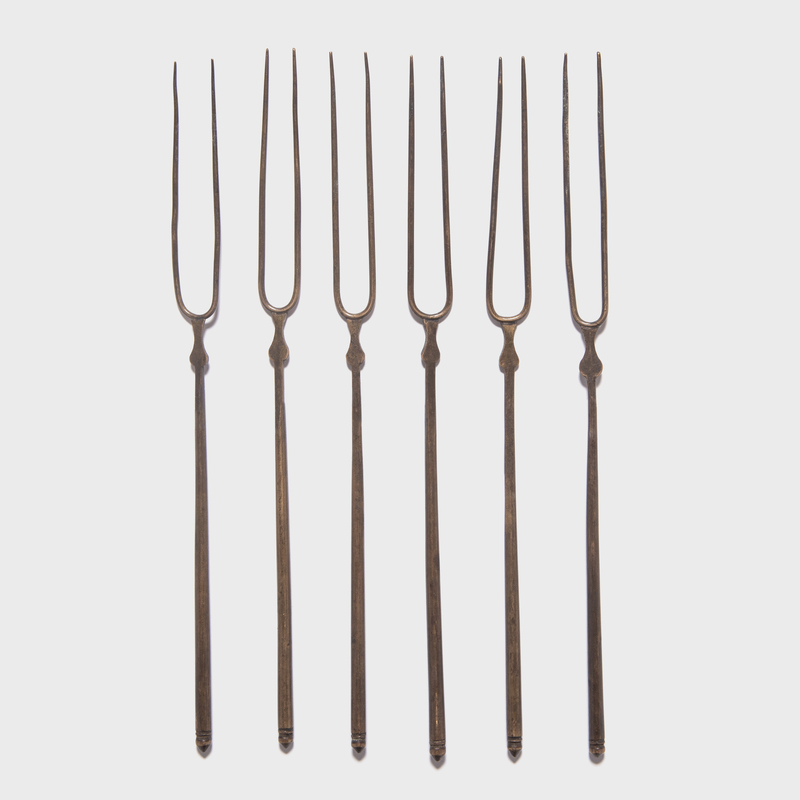 In the century since, they developed a unique patina that speaks to their age and use. 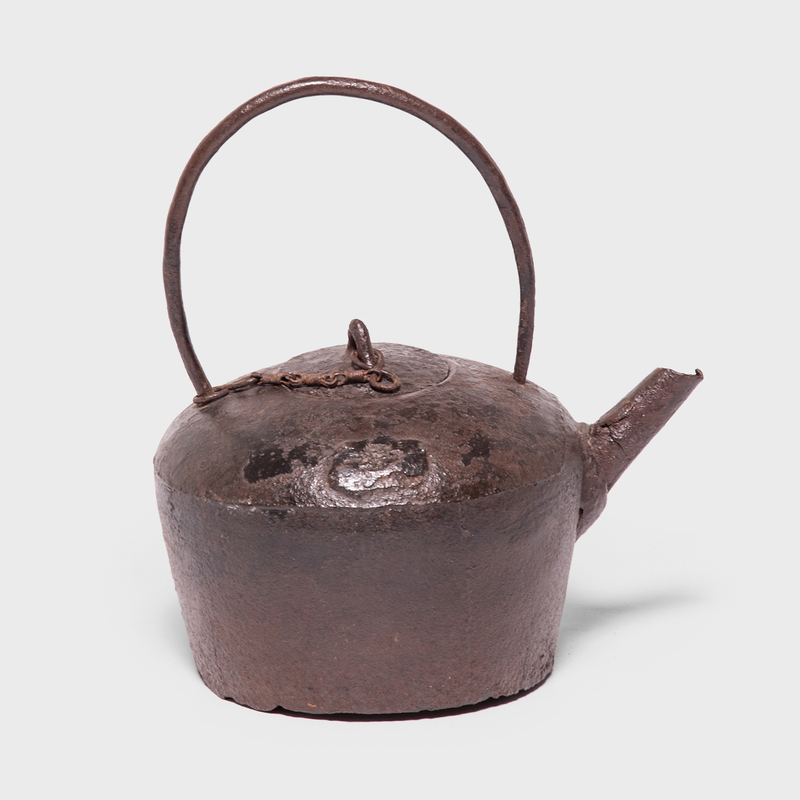 The combination of symbolism, tarnish patterning and form transform them from simple forks to sculptural relics of a bygone Shanghai.